Petaluma, CA, March 29, 2017 – Senior Care Authority™ was recently named a top franchise by Entrepreneur® Magazine in its Top New Franchises for 2017. 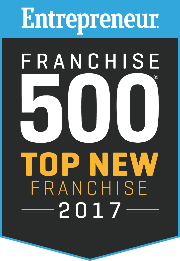 According to Entrepreneur® in the April 2017 Edition, only 100 franchises were selected as helping to shape the franchise industry’s future with innovative products and services, creative marketing methods, and ever-evolving technological tools. These companies offer new franchise owners the chance to latch onto something big. Senior Care Authority was among nearly 988 companies evaluated, and 22 percent of these companies making the list. “There are some great, new franchises in the market, and knowing we were only one of three in the senior care industry while being the only franchise specializing in Senior Placement and ElderCare Consulting was a great honor,” says Frank M. Samson, Founder & CEO of Senior Care Authority, author of The Aging Boomers and creator of The Aging Boomers Podcast.